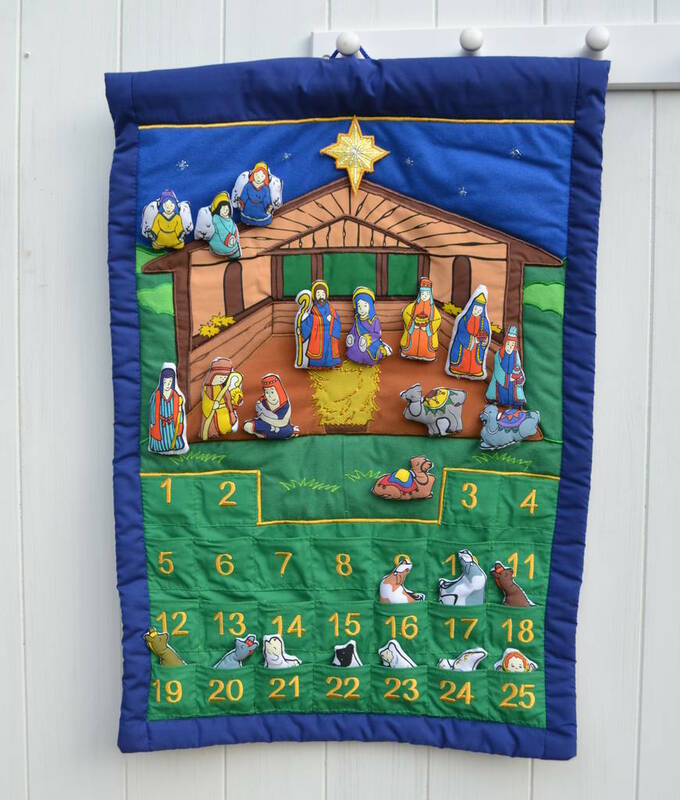 The story of the Nativity comes to life in this fabric Nativity Advent Calendar with handmade figures in pockets with Velcro backing. 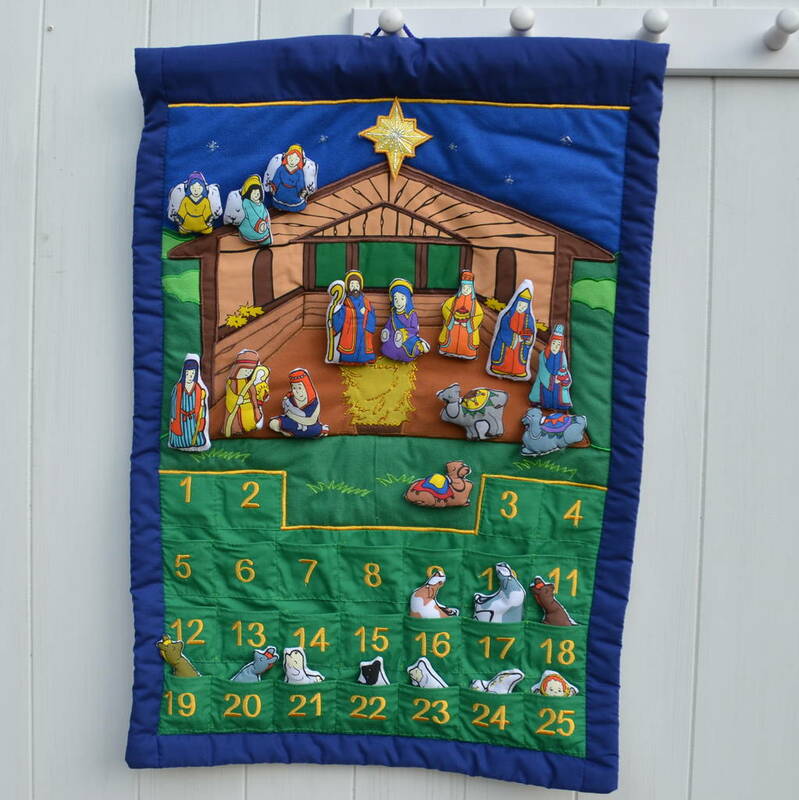 A traditional interactive nativity calendar for the whole family to enjoy together. 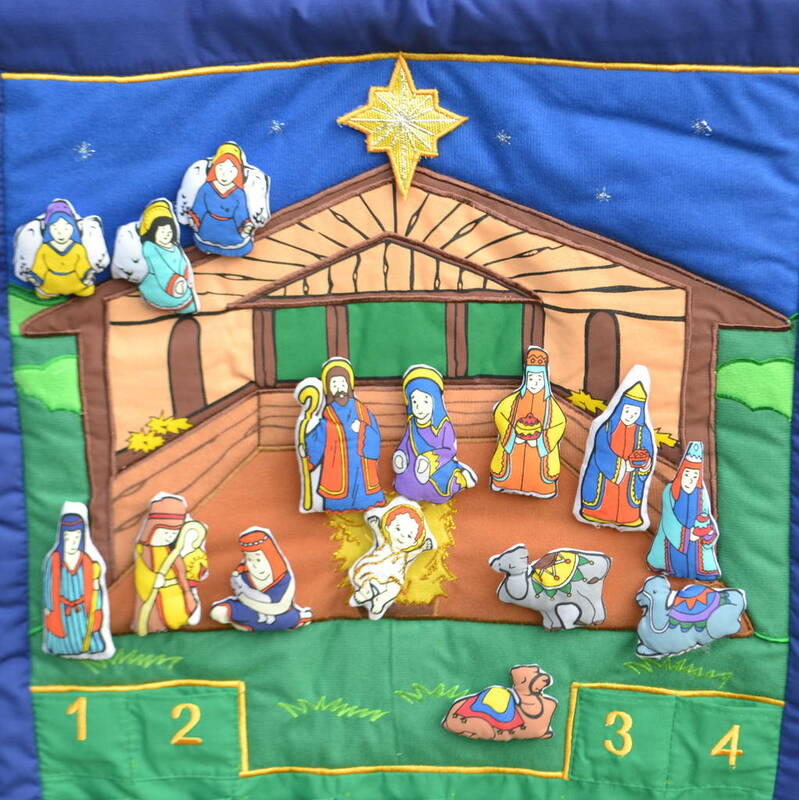 The activity starts on 1st December by placing the gold star in the centre top (as shown). 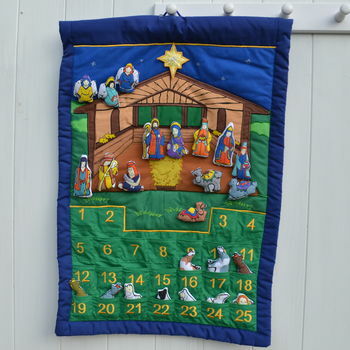 Each new day one more adorable character can be taken out of its pocket and attached to the stable scene around the manger until and baby Jesus arrives on Christmas day. 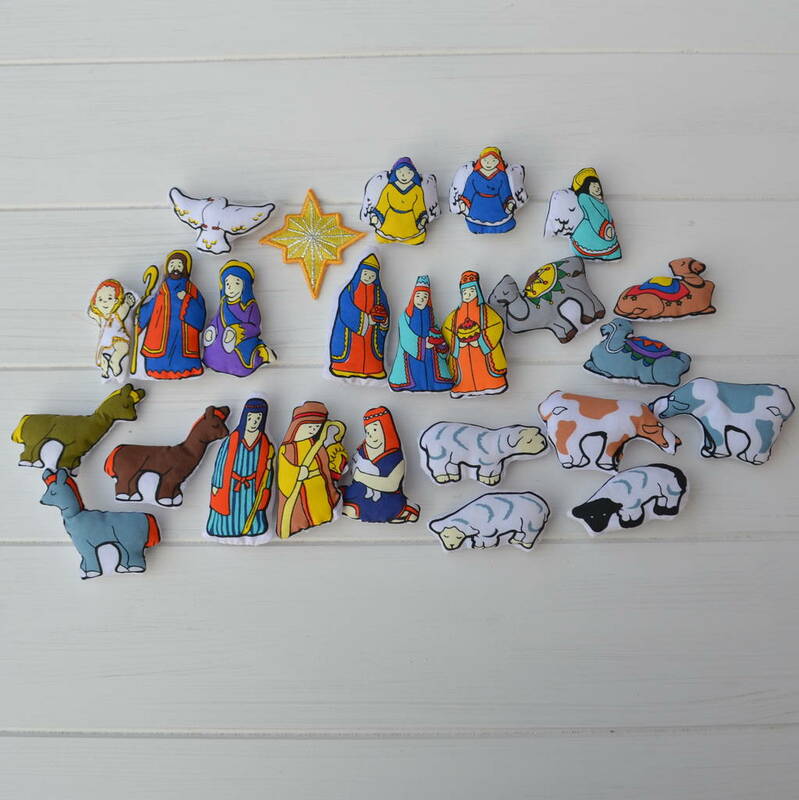 Each piece of the advent calendar can be placed, moved and re applied anywhere on the nativity scene which encourages storytelling and creates a unique calendar each time its used. 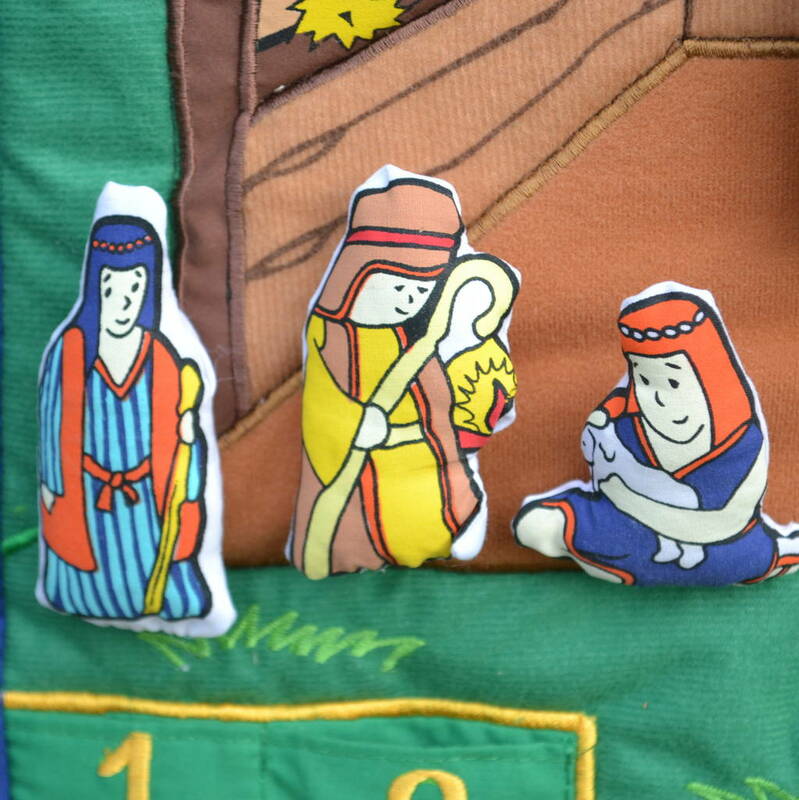 Our Pockets of Learning toys are designed to withstand years of play and this special advent calendar with last for generations. It has been safety tested from birth and recommended for children and adults of all ages. 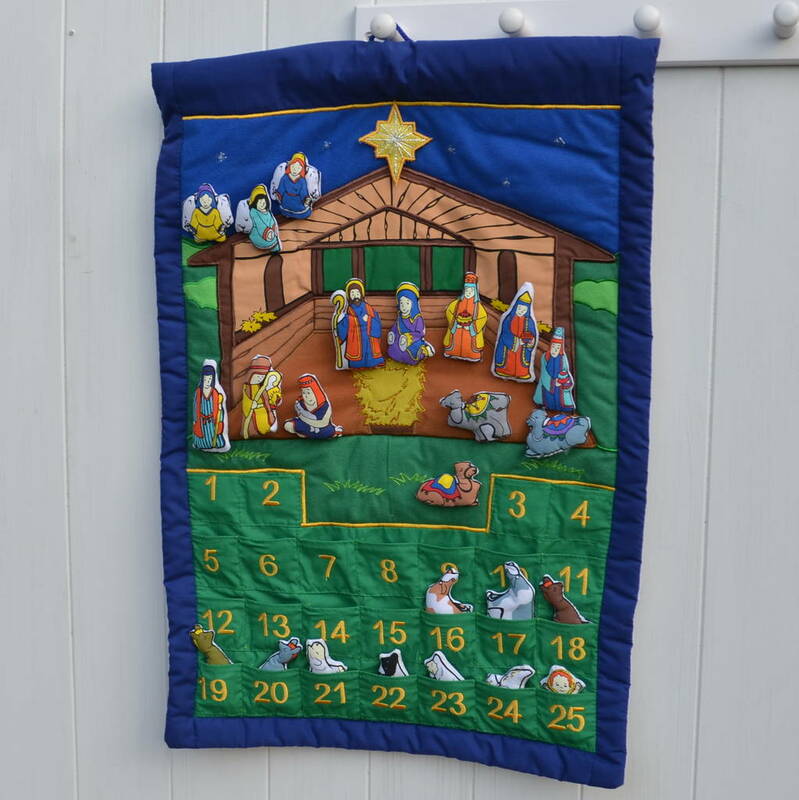 The soft poly cotton fabric is padded with 2 hidden dowels and folds up for easy storage and posting. But the best thing? Pockets of Learning guarantees to replace any lost toy pieces for free.